gettting started a little early . 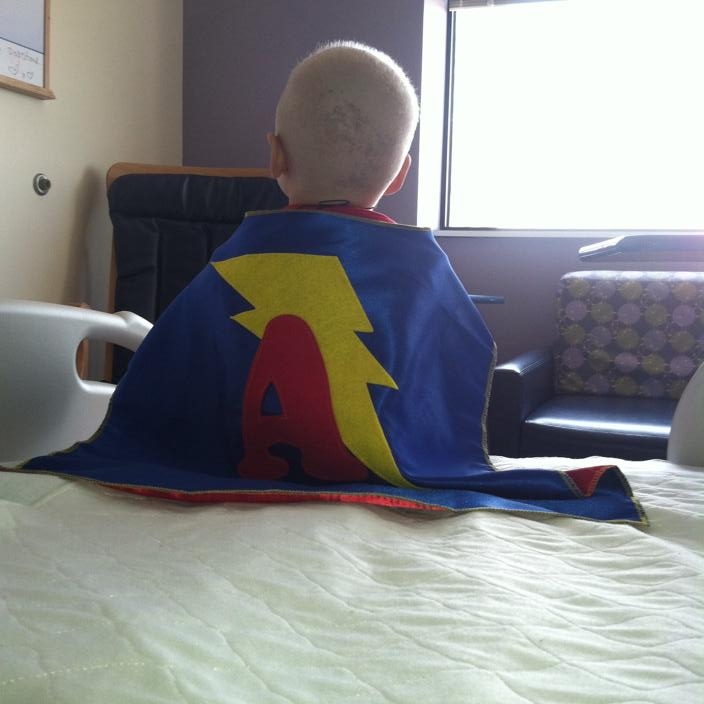 . .
my superhero ashton flew away last night. he was five years old. he had battled cancer for the past several months. 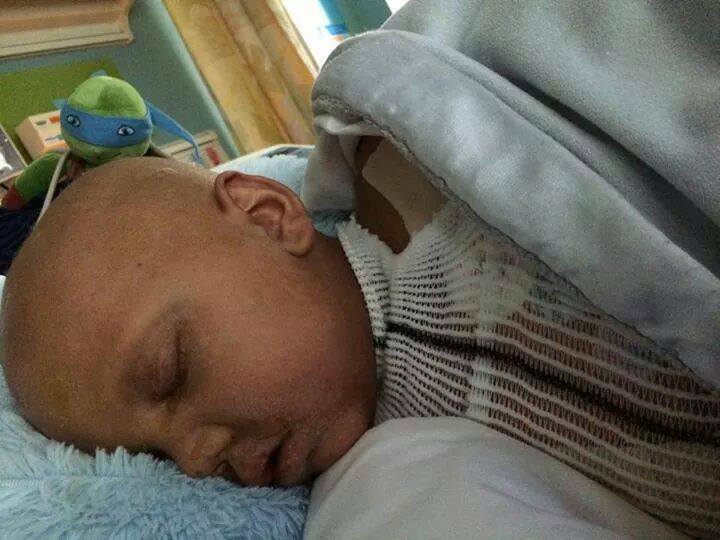 he had endured a stem cell transplant and lived at the dayton children’s hospital and then at cincinnati children’s hospital with his mother erin. when i visited ashton at cincinnati, he had a favorite friend isaac. both boys are superheroes. ashton was diagnosed in a particularly horrific fashion. he and his mother were going to his sisters confirmation. ashton and erin were going to stay overnight with me but ended up in the hospital because ashton had an ear infection. the doctors figured out he had cancer. i’m sure i would have broken down a dozen times if i were erin but she has become the strongest woman i know. ashton’s father passed a number of years ago and so i would like to believe that he will be there to greet ashton in the city of remembrance that exists. i have such admiration for this friend of mine! 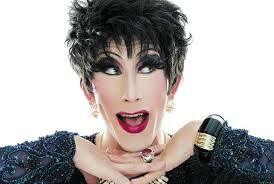 prescott seymour is a drag queen living in new york who works under the stage name sutton lee seymour. he is part of the seymour family, which is the most admirable family on earth because they share every holiday, sunday dinners, etc. with each other. even the exes. and their kids. and stepkids. and futures. little shop of horrors is a movie/play/movie about audrey II, a carnivorous plant cared for by a florist assistant seymour who named the audrey II in honor of his true love audrey. audrey is terrorized by the abusive boyfriend orin but finds the courage to leave–because there’s “suddenly seymour” the most popular song from this show is “suddenly seymour” which i can’t get out of my head right now. 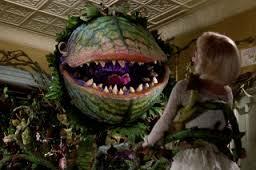 karma alert: audrey II ends up with a nice orin meal. I have to tell this story, and please know it’s not praise I’m looking for. It’s change! I was at my subway stop last night heading to my show, “in face” but in boy clothes. I do this for physical comfort, not from fear of being gay bashed. But last night I encountered a homeless man who decided to scream at me with hate once he saw my face (btw, I looked really pretty last night). I never really encountered this before. I wasn’t afraid of him because he was on the Queens bound platform and I was on Manhattan bound platform. But he kept screaming, so I moved. But he wouldn’t stop. And then something just hit me, I needed to do something. I considered going to the MTA folks in the booth but opted against that. Instead I left the subway station and went to the Dunkin Donuts and bought a cheddar, egg, sausage sandwich, a banana, a donut, and a bottle of water. Btw, nobody seemed bothered by my stunning face. And he didn’t do anything for a minute so I just left the food in front of him. And then he said thank you, which honestly surprised me because I was expecting more hate. And I left for my platform with no slurs coming from the man. And my train pulled up as I got back over and I saw him eating. And I headed to my show. I realize that maybe this was risky, but there’s still so much hate out there that we can’t ignore it or fear it. And we can’t change hate with more hate. Only love. Will this change that man forever? Probably not. But I’m certain he won’t forget. At the end of the day, there are people who still need help. 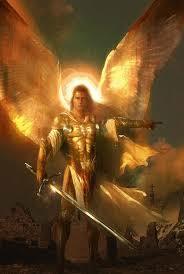 And hopefully, that man will think twice before he starts gay bashing. That’s my wish. prescott, you are my hero! If they had not told me I was ugly, I never would have sought my beauty. If they had not told me that they would break me, I never would have learned I’m unbreakable. If they had not told me that they were trying very hard not to be mad at me, I wouldn’t have known that they failed. lanny wrote “william clark and the shaping of the west” which is an incredible account of how this dude did the lewis and clark expedition and other things. i have a william clark plush toy i take everywhere on my journeys. 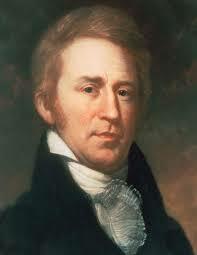 william clark has a facebook page which lanny runs. ain’t that neat? I arrived in Bozeman expecting saloons, hitching posts, wood sidewalks and the clop-clop-clop of horses. Instead, there had been some geographical hocus pocus because Bozeman is basically a very sweet, charming college town with soigne restaurants and trendy clothes stores. It looked to be imported from Massachusetts except for the mountains at a distance. “I could get used to this,” I thought. To be fair, greater Bozeman seemed to stretch a mere four blocks in every direction, but that was so much larger than any ville I have been in for the past week so I was impressed. I followed the directions Lanny gave until I got to the part where I was to follow the switch backs. 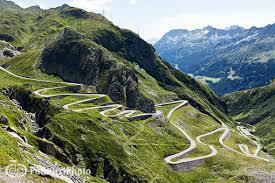 wow, just drive up to the edge of the side of the mountain, then do a u turn and go to the other side. yikes! I am scared of heights. Sky rise hotels I’m the one asking for the second floor. All of the West Virginia by ways spooked me. I have never been to the top of Willis Tower even though I lived in the Chicago area 53 years. I cried all the way up to Lanny’s house because at every turn I thought I was going to fly over the edge of the road and tumble down the mountain. Shortly after I arrived, Sarah returned from a grocery trip. “How do you DO it?” I cried. “Oh, you get used to it,” she said. After I left the Joneses, I traveled up to Canada to Banff. 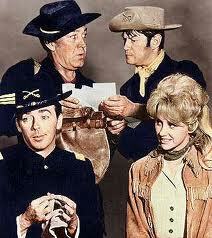 a sixties show f-troop included a cameo appearance from a character from banff. the town was pronounced banf-f-f-f because it is a little confusing about what to do with the extra f. i had such a crush on ken berry. is he my soulmate? in Banff, I visited my facebook friend Madame X. Madame X doesn’t want me to use her name because she has a stalker ex-boyfriend. She’s even changed her name on facebook in order to shield herself from him. I totally sympathized. We had a wonderful evening in town and the next morning we climbed Sulphur Mountain. There is a series of switchbacks up the 7500 elevation mountain. There were spots when I would look down and cry. There were spots where I told myself that it was okay, I have lived a long, lovely life and I have two great sons to show for it. There were spots when I counted my steps “one, two” and then stopped and started over. This wasn’t altitude sickness, this was naked fear. But there was a weird part of me that was proud that I was keeping up with Madame X. After all, she’s an adorable, athletic twentysomething year old. Here I am fifty four years old and I’m keeping up. Then we got to the peak. i’m pretty much a city girl and a scaredy cat so the combination means i have had major anxiety attacks all through south dakota, wyoming and montana. jeez, there’s so much open space. on the other hand, some of the folks i’m meeting i wouldn’t trust taking to times square without a significant dose of ativan—for them. everything in south dakota is bigger, including the pets. 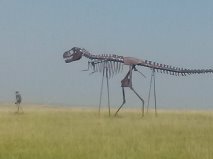 this dinosaur on a leash is outside 1880 town in jackson county! a few years ago my italian friend federico cenci was writing a book about my grandfather and i invited him to stay in my home in winnetka, illinois. he stayed for a month and we traveled to the university of illinois rare books and manuscripts library for extra material. mostly, he worked in the guest room. one afternoon he asked if we could take a day trip somewhere to see the sights. 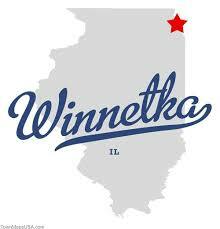 big shout out to winnetka, illinois which was my home for close to a quarter century! “where would you like to go?” I asked federico. actually, mount rushmore is a fourteen hour and twenty six minutes 930 miles road trip if traffic is perfect, you’re wearing depends, no doz is delivered through an i.v., and you trick out the back of the car with an endless tank of gas. “niagra falls,” he said, brightening considerably. niagra falls is wonderful but it’s still a good nine hours and eighteen minutes under the same conditions described. in a rough justice compromise, we drove to chester, illinois to visit the birthplace of popeye comics creator e c seger. federico hosted a website devoted to e c seger’s beloved popeye. in chester, we took pictures of the popeye statues. federico returned to rome and finished his book. on any given day, he can drive from rome to milan (5 hours, 13 minutes), make arrangements for brunch in pisa (3 hours 36 minutes), or spend a weekend in naples (2 hours 11 minutes). his idea of how large the united states is/was a bit skewed. oddly, i have the same problem. i just had no idea how many miles get tucked up under my tires. so this morning i pulled into the parking lot of the mount rushmore national park outside keystone, south dakota. the usual tour buses of japanese tourists and refugees from aarp. families with kids who are more interested in the concessions stand. a lady berating the staff because she wanted to climb either lincoln, washington, teddy or tommy. the teenagers taking selfies. i sat down on a bench and took it all in. and thought to myself…..i gotta tell federico that i made it. but of course, i have verizon phone service so i couldn’t.